Members were given one of these in a 3 1/4 inch pot at the start of the year. We are to look after it and bring it back at the December 2015 meeting (the annual Pot Luck) for comparison. 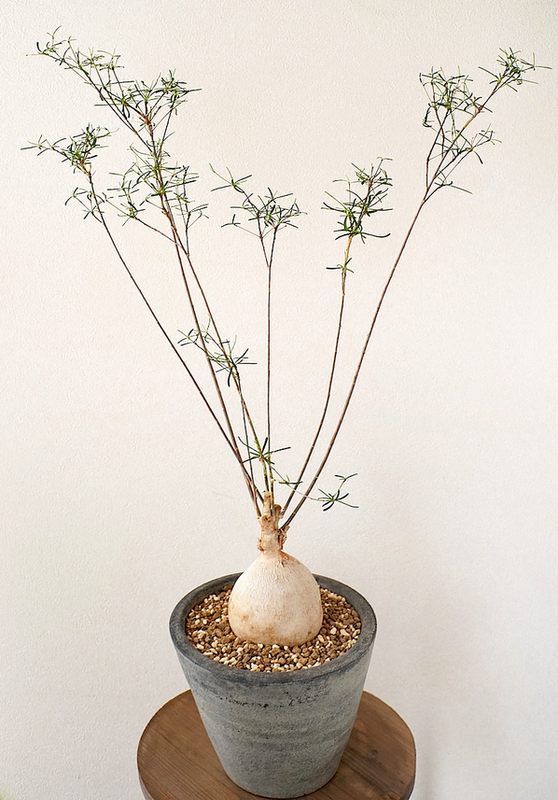 Euphorbia hedyotoides is a root-succulent deciduous shrub found in South-West Madagascar. Flowers are yellow to pale red. A summer grower that requires very well draining soil and not too much sun. It should be watered sparingly during the Summer months, in Winter it should only be watered when the soil is completely dry. Many growers raise the root ball above ground to expose the beauty of the plant, however it is suggested that development of the root will be faster if it is left below ground for the first year or so.